The Da Vinci Code and The Bible Code had me close to swearing off anything with the word “code” in the title, but this documentary made me glad I held off. It is based on a book of the same name that argues C.S. Lewis modeled the seven books of his Narnia series on the seven planets of the medieval cosmology. It is an argument that has intrigued and convinced many Lewis scholars. 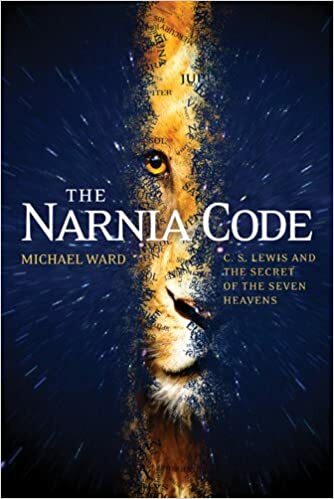 There seems good reason to believe the Lewis did add this extra layer of meaning and artistry to the books, and that, in a bit of patient playfulness, he was content to never make mention of it, leaving it for someone – as it turned out, a certain Michael Ward – to discover 50 years later. For a detailed look at the theory itself, viewers will need to go to the Bonus section of the DVD. The main feature focuses more on the discovery of the planetary connection, the excitement it caused, and why so many people today still get excited by what this man wrote. This is, admittedly, a documentary that will excite only a very particular audience: Narnia lovers who are equally fascinated by the tales' author. But for them, well, this brilliantly executed BBC production will have these folk scurrying off excitedly to their bookshelves and paging, once again, through these old favorites! You can see the trailer below and learn more about the book and documentary at www.NarniaCode.com.